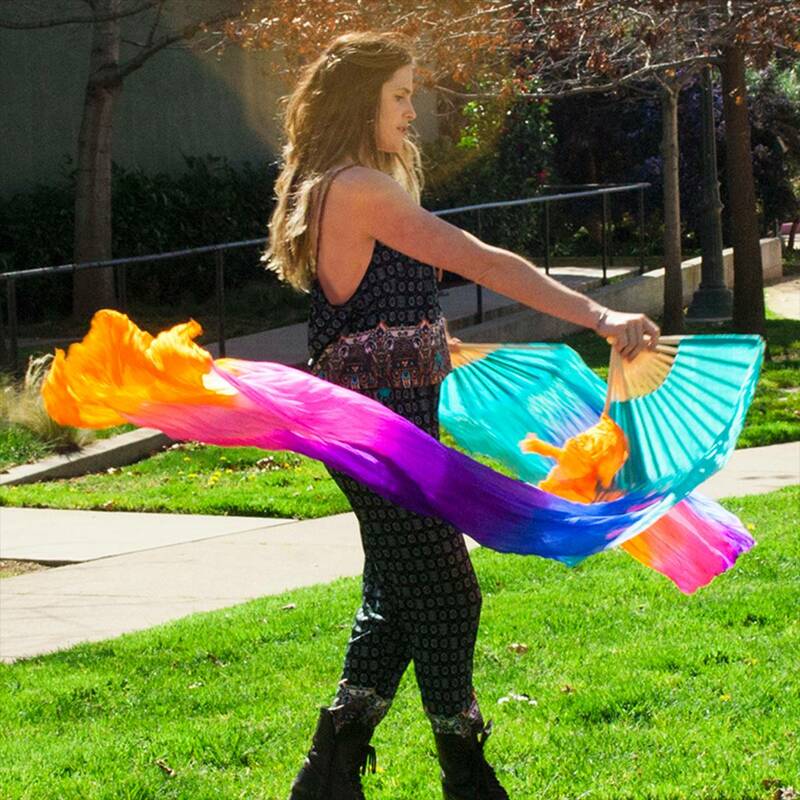 Elegant and mesmerizing no matter your skill level, fans are a delightful flow toy. 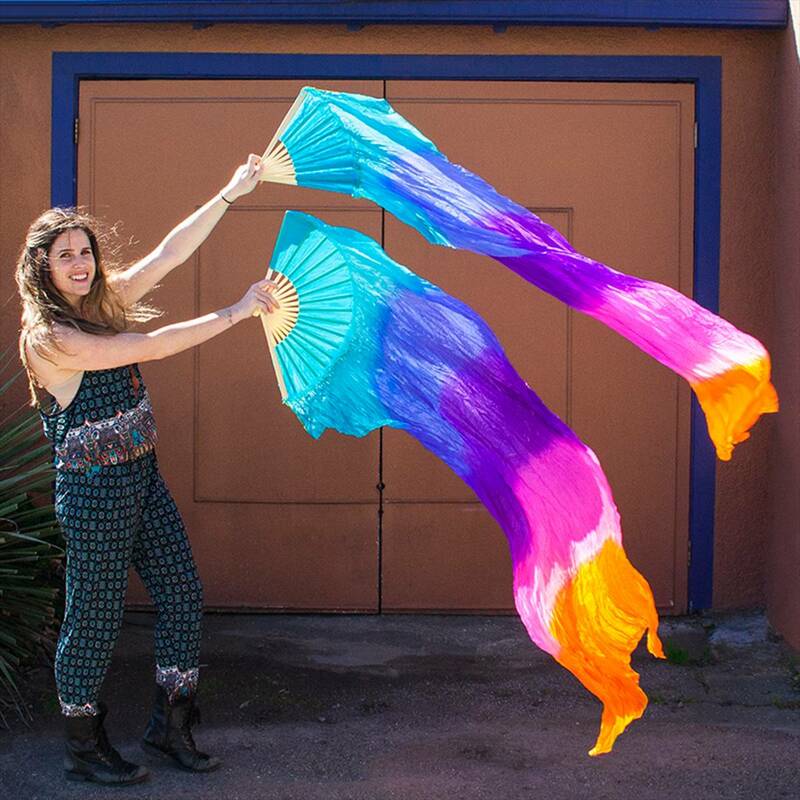 Silk fans flow beautifully in any setting, but are especially eye-catching in daylight - a must-have for festivals and outdoor events! 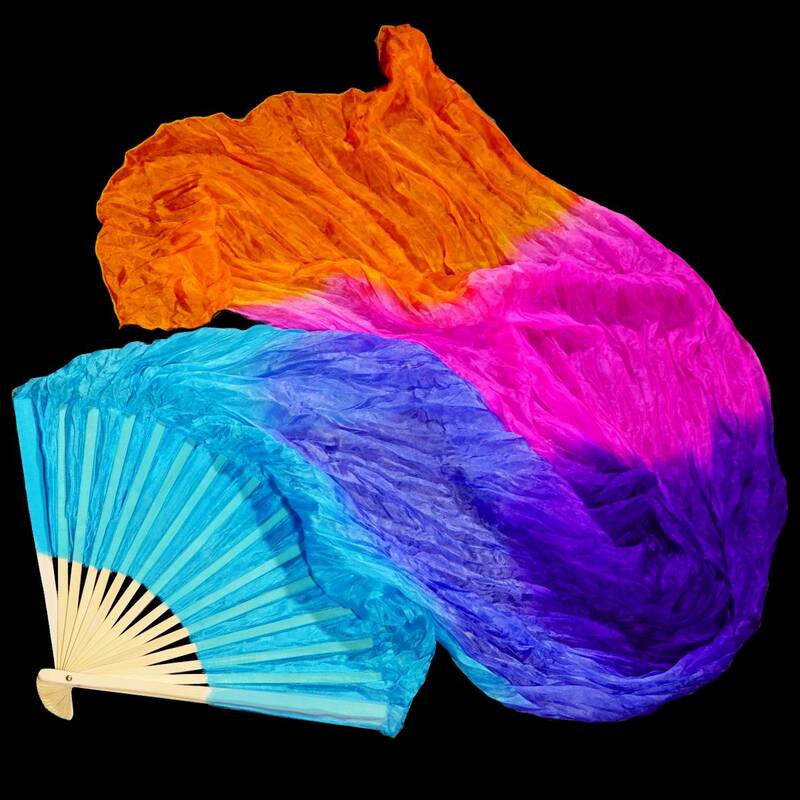 These "sunset" fans are named for their bold gradient spanning from pale twilight blue through bold violet, vivid pink and finishing in a brilliant orange. 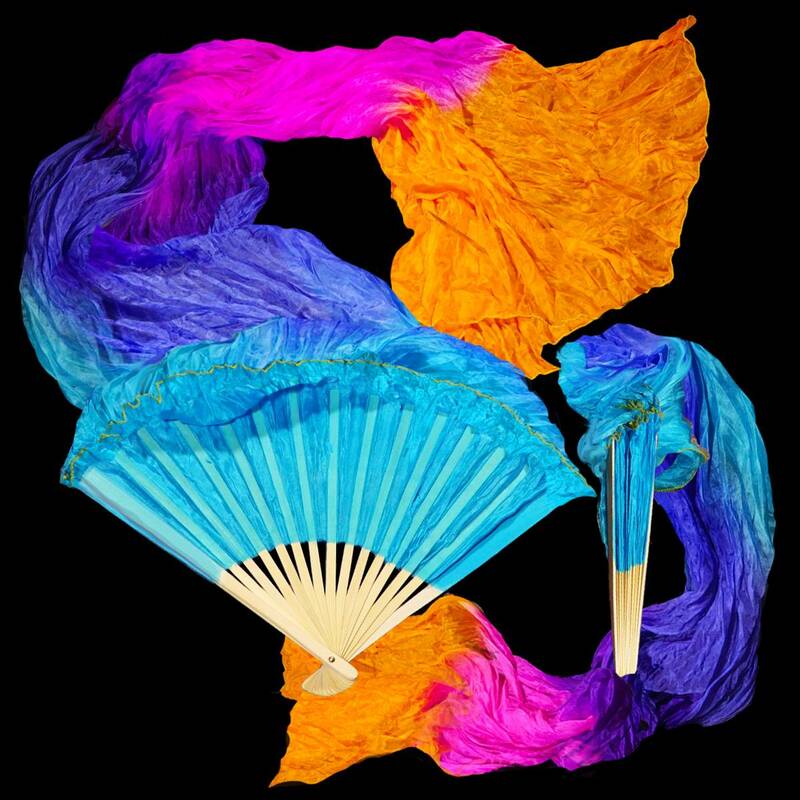 Sunset fans coloration begins with light blue at the fan blades, and progresses through marine blue, periwinkle, vivid violet, bold pink, finishing in a bright sunny orange.